Château Brane-Cantenac is now run by Henri Lurton who took over from his father Lucien Lurton in 1992. 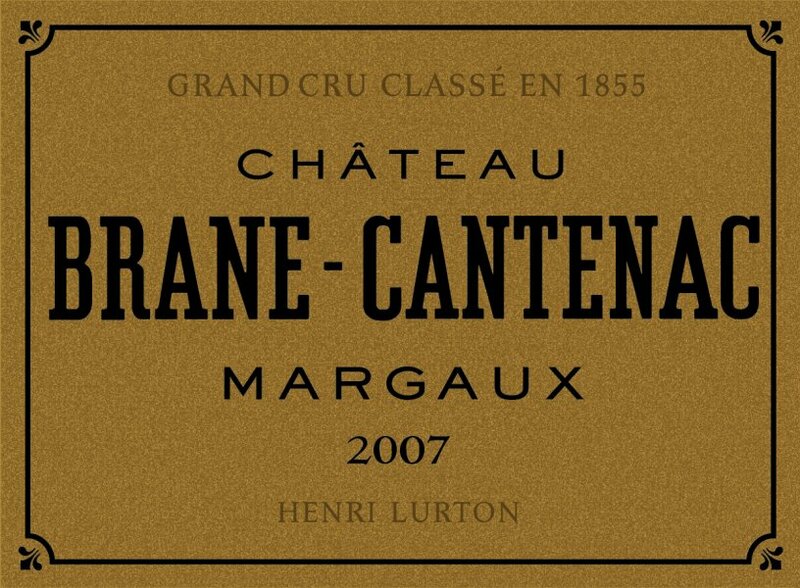 Classified as a second growth in the 1855 classification Brane-Cantenac enjoyed a wonderful reputation in the nineteenth century. The quality here is based on a fantastic terrior, made up of a number of plots but the most significant of which is a bench of gravel that sits above the surrounding vineyard areas and is known as the Brane plateau which favours Cabernet Sauvignon. The wines have wonderful Margaux perfume and in recent vintages [2009 & 2010] have proved excellent. They have elegance and finesse and can be a bit deceptive early on, particularly during the primeur tastings, and the wines often seem to put on more flesh and body during elévage and in bottle. Brane Cantenac made extremely successful wines in 2011 and in 2012, both tricky vintages. Vineyard: 75 hectares, soils deep gravel, planted with 55% Cabernet Sauvignon, 40% Merlot, 4.5% Cabernet Franc and 0.5% Carmenere. Average age 35 years plated between 6666 to 8000 vines per hectare. Average yield 45 hectolitres per hectare. A number of plots here, the most significant of which is a parcel known as the Brane plateau, an area of soil with large sized gravel that sits up above the surrounding land by twenty metres and favours Cabernet Sauvignon. Other plots include Le Verdotte and Notton. Winemaking/Elévage: Fermenting capacity split equally between wood, concrete and stainless steel vats. Second wine Baron de Brane and a third wine Chateau Notton. Aged 18 months in barrels, 60-70% new.